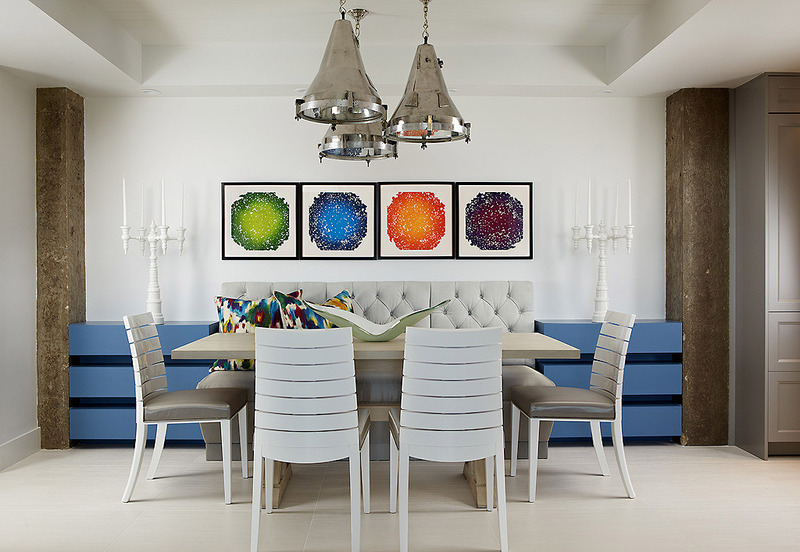 The Summer 2014 Luxe Interiors + Design Magazine South Florida edition features a beautifully renovated condominium in Delray Beach, Florida. Completely gutted by its new owners, the space serves as a warm-weather retreat for a family-oriented Northeastern couple. Wanting a space to entertain at a moment’s notice, the home is a shining example of how contemporary, casual design can incorporate unique recycled materials by beautifully integrating Vetrazzo Champagne Flint recylced countertops into a modern and multipurpose space. While coastal living offers homeowners and designers a number of distinct design aesthetics to work with, transitional and contemporary spaces that bring the outside in are becoming increasingly popular. Here, the design team tore down an existing wall in between the kitchen and dining room, while also enlarging the opening between the kitchen and living room. Not only does a large slab of Vetrazzo recycled glass countertop now embellish the kitchen, it continues through the enlarged opening and wraps around the living area. 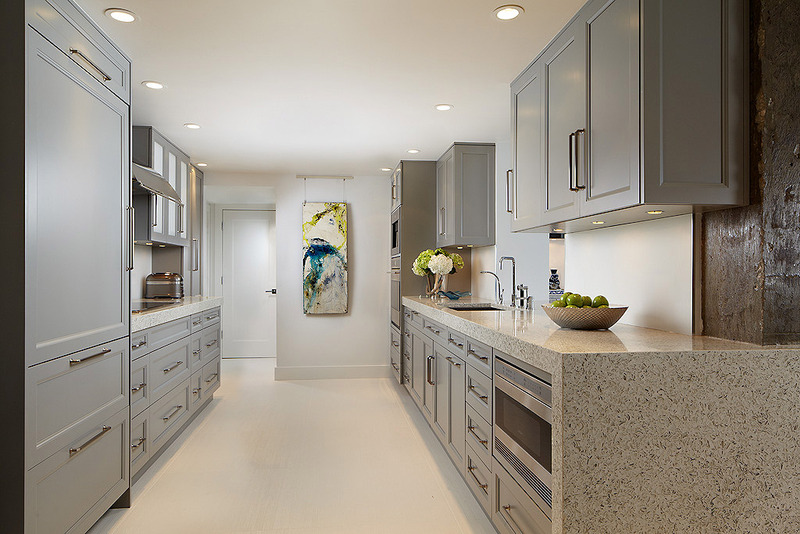 This unifies the space, and serves as a solid surface perfect for entertaining. The rich champagne color of the countertops, with speckles of translucent and opaque flint, fits perfectly into the space, complementing the warmth of the home without overpowering any of the other design features. With the lights dimmed and the glow of the setting sun coming through the new French doors, the homeowners have a peaceful retreat, ideal for family gatherings or a private cocktail. Beginning over 300 years ago flint was used to produce an elegant glass that is the predecessor to English crystal. These days flint struts its stuff in rhinestones and continues to take on many humble forms as well, doing the excellent work of keeping food and drinks fresh in jars and bottles. We take what can’t be used and transform it into sparkling flint glass Vetrazzo.